Fernando Martinez and his crew at Olé Restaurant Group are at it again. 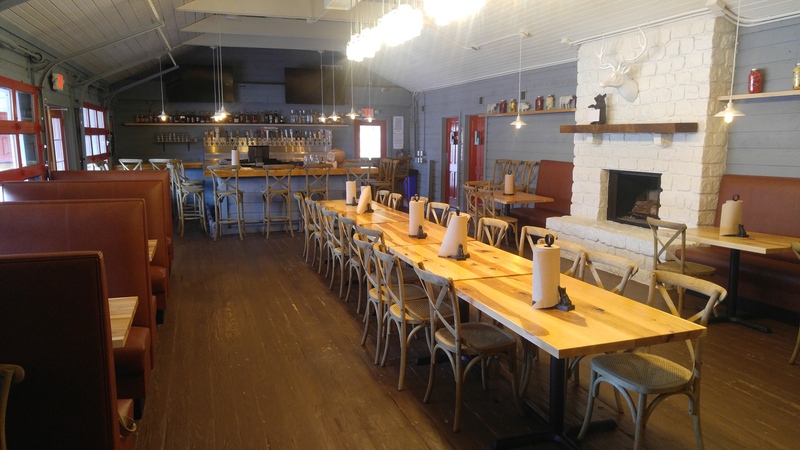 Monday, July 18 the newest restaurant in the group’s portfolio, Red Barn Kitchen, will open at 8131 New LaGrange Rd. in Lyndon. The site had been for many years Joe’s Older Than Dirt, “but Olé has completely overhauled the space,” according to a press release. Red Barn Kitchen’s kitchen is under the supervision of Executive Chef Reed Johnson, formerly of Wiltshire Pantry, who will offer a “a chef-driven Southern and barbecue” menu that will include bone-in fried chicken, shrimp and grits with country ham and shellfish broth, BLT with pimento cheese and fried green tomatoes, a country ham pork chop, mac & cheese with cheese curds, and lots of smoked meats. Red Barn Kitchen’s bar will offer custom moonshine cocktails, an extensive bourbon list, and eventually 52 beers on tap ranging from domestic favorites to local craft brews. The restaurant will begin with dinner hours from 5:30 p.m. to 10 p.m and diners can expect regular Bluegrass and Country musicians. Within the next several months, the restaurant will expand to lunch service, including Saturday and Sunday brunch.